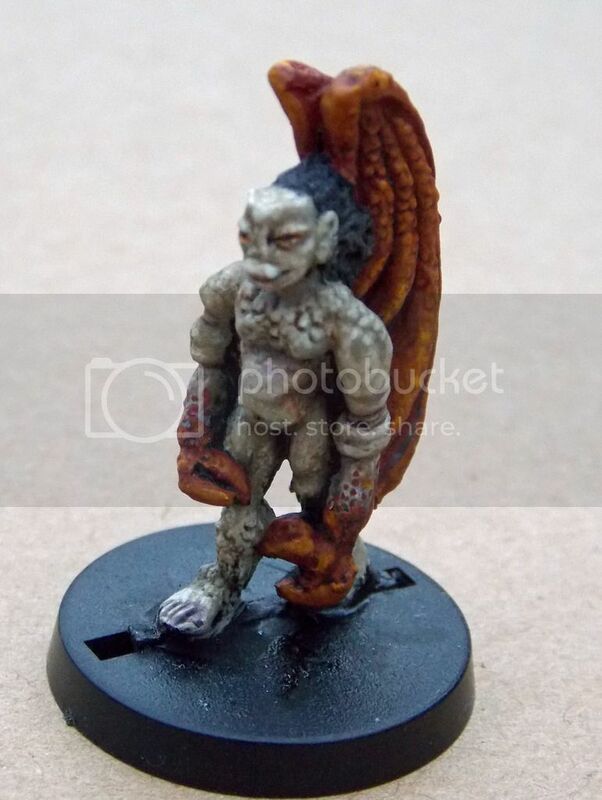 Oldhammer Forum • View topic - Fishman, beastman,big man!! Got a couple of photos taken. 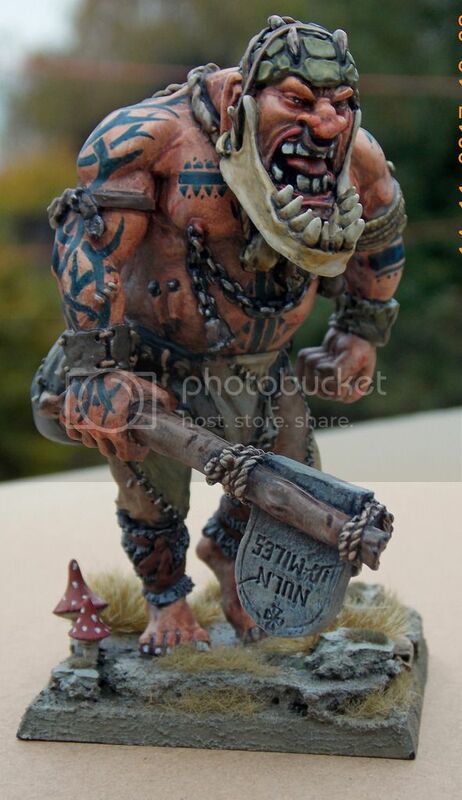 Mate, lovin the giant, really nice work on the skin tone and tattoo! Awesome. Love the giant - great tats! As usual, it was going to be a 'get it done and get it on the table' model. but then I really got into it! 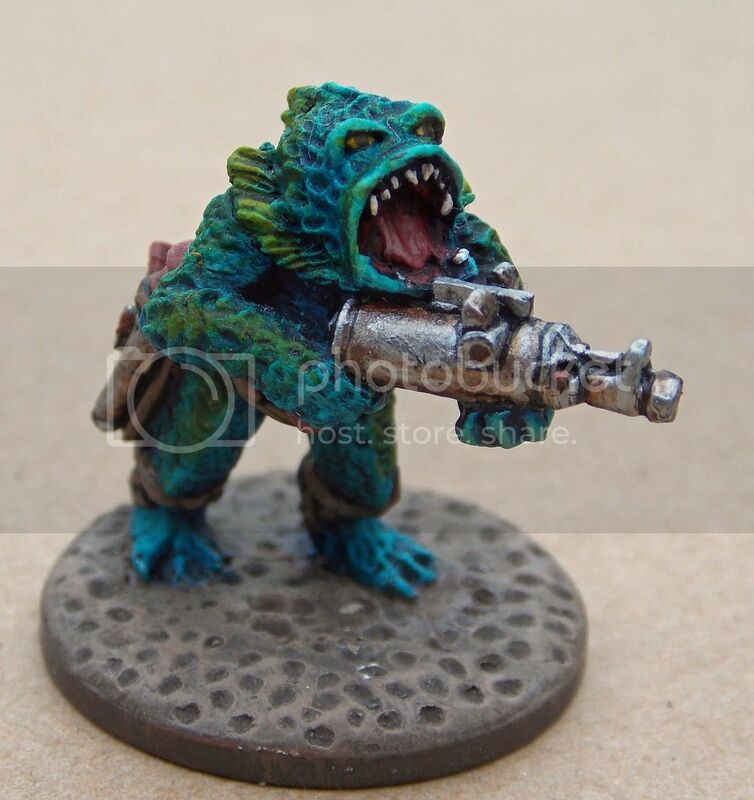 Great skin tone and the fishman is very smart - and marine. Good job on the fish man colours. The fishman and the tattoos on the giant look fab, great stuff!